With Thanksgiving behind us, it’s time to look ahead to the month of December. 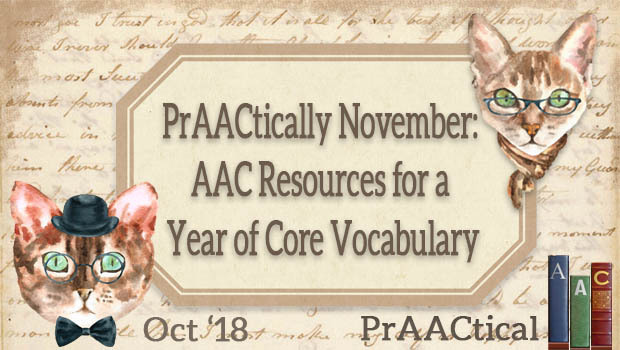 A few years ago, we suggested that one way to help strengthen learners’ abilities with core words is to take a different set of 12-20 core words each month and focus on them for a few weeks. How? 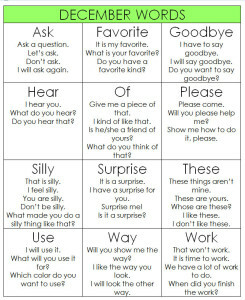 By modeling those words, making resource materials (like word cards with the symbols), creating activities in which those words figure prominently, posting them in the classroom/therapy room, reading books that have heavy use of these words, sharing them with families, write stories using them, etc. 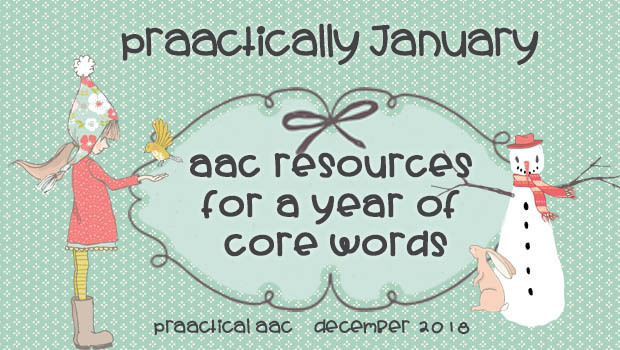 Core words are a great addition to the highly motivating, learner-specific words that many AAC users start with. 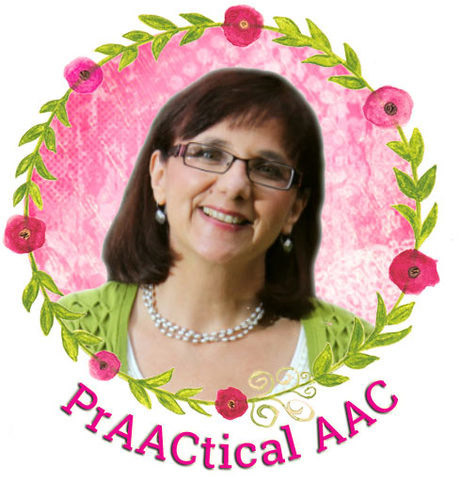 If you are looking to expand to more robust language, this approach may be of interest. 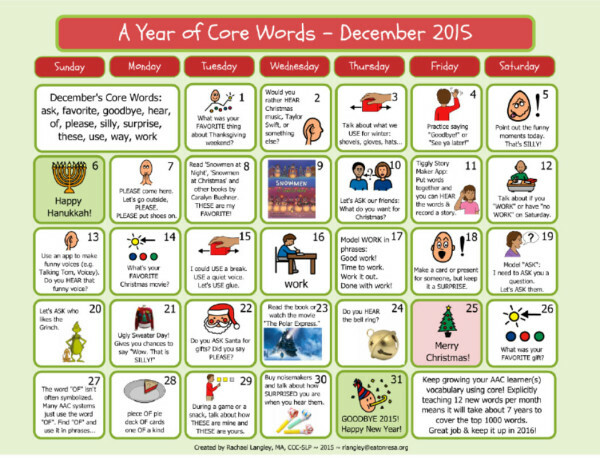 Here are the specific words we are focusing on in December. 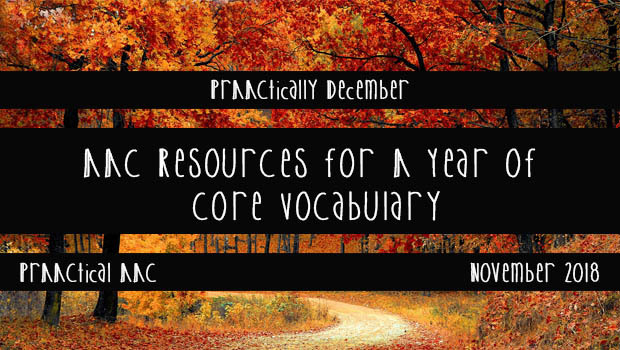 Here are some resources that may be helpful as we move on to highlight the December words. 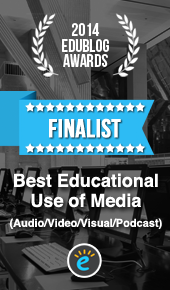 The resources listed here available due to the collegiality of Brian Whitmer, Barbara Fernandes, Nancy Inman, Deborah Lesher, Beth Erwin, Bill and Lori Binko, Heidi LoStracco, Alison Wade, Russell Cross, Gail Van Tatenhove, Eric Sailers, Rachael Langley, and others. We are grateful for their contributions. Storybook reading is such a great way to get in some extra modeling and elicitation of core words. Many thanks to Deborah Lesher for this list of books that provide ample opportunities to target our December core words. Finally, check out all the wonderful activity suggestions in Rachael Langley’s calendars for December. Note: The calendars are from previous years so the dates will not match up but the suggested activities are as powerful as ever! You can download printable versions of both calendars and the sentence grid here.